Writing for the web has many unique challenges. 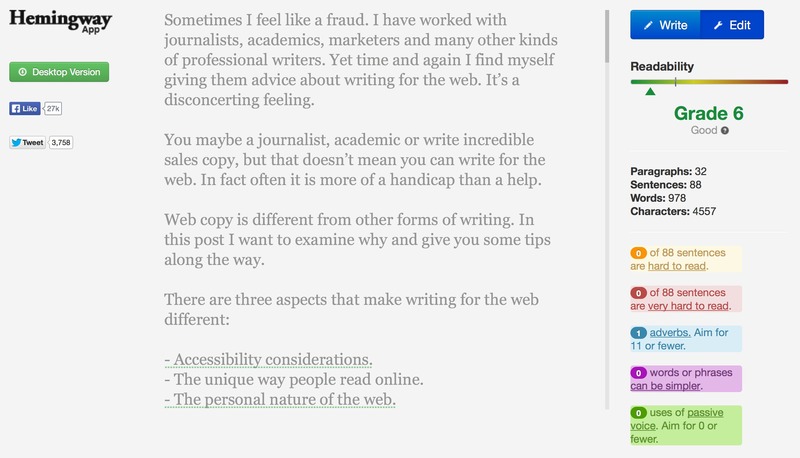 Just because you can write well, does not mean you can write good web copy. Sometimes I feel like a fraud. I have worked with journalists, academics, marketers and many other kinds of professional writers. Yet time and again I find myself giving them advice about writing for the web. It’s a disconcerting feeling. You maybe a journalist, academic or write incredible sales copy, but that doesn’t mean you can write for the web. In fact often it is more of a handicap than a help. You may be a journalist, academic or marketing copywriter, but that doesn’t mean you can write for the web. Web copy is different from other forms of writing. In this post I want to examine why and give you some tips along the way. The unique way people read online. The personal nature of the web. We begin with accessibility considerations. When we talk about accessibility the mind immediately goes to the disabled. In fact disability is only a tiny part of the conversation. It’s more about making it easy to consume content online. For a start our eyes are not designed for reading a screen. Reading online is tiring and so we need to be concise in our writing. If you are a marketer or even a journalist that is not an issue. You are familiar with writing in this way. But, many of us have learnt to be thorough in our writing. We justify every statement, provide citations and give in-depth analysis. This style is not web friendly. The second consideration is reading level. Many of our readers may not speak English as their primary language. They may be dyslexic or not giving the copy their full attention. In our desire to appear credible we tend to write at a higher reading level than most are comfortable with. We also have a habit of falling back on industry jargon that is not familiar to all. I highly recommend the Hemingway App for improving the reading level of your copy. Keep your language simple and you help international readers and the dyslexic. Remove jargon and you will improve search rankings. That is because you are using terminology people search on, rather than industry shorthand. You also make content easier to consume and process. This is a key factor in the attention starved web. That brings me on to the way people read online. The reality is you won’t read all this post. You will scan it. People rarely have the time or inclination to read your copy word for word. They look at links, pull out quotes, headlines and the first few words of each paragraph. This leads to a certain form of writing. For example, everything has to work out of context. Just because somebody reads a link embedded in your copy doesn’t mean they will read the surrounding text. This makes links labelled click here redundant. You cannot presume that people have seen other pages on your site. Many users arrive on a page from a search engine. That means the copy has to exist in isolation on that page. You need to write copy so it is easy to scan. This means including informative headings, easy to read lists and ‘front loading’ your content. Front loading refers to summarising an entire page of content in the first couple of sentences. This helps the user decide whether to continue reading. Look at the first couple of sentences of this post, they sum up everything that follows. Do not limit front loading to the page level. Try applying it to sections or even individual paragraphs. Finally, you can aid scanning by keeping sentences short. It is harder to process long sentences containing many conjunctions. Aid scanning by keeping sentences short. It is harder to process long sentences containing many conjunctions. This kind of writing style can be difficult for those more used to business or academic writing. But, it is a skill that can be learnt. Much harder is to drop the formal tone of your writing and become more engaging. The web has changed as a medium over the years. With the growth of social media and mobile devices, it has become personal. Many of us share more personal information on social networks than we would ever do face to face. We also have an almost intimate relationship with our smartphones. People have a different expectation of online content when compared to offline. We expect a level of interaction and customer service more akin to a friendly landlord in our local pub. Friendly, approachable and personal. Hmm… that might just be a sign I go to the pub too often! For people used to writing business or academic copy this can be challenging. They write in a more formal tone. A tone that tends to distance the writer from their copy. This kind of writing rarely includes personal commentary. But, it can also be a challenge for marketers too. Although they are comfortable writing in an engaging tone, rarely do they show much of themselves in their writing. They are also not used to writing copy that encourages a conversation with the consumer. Marketers broadcast and the web demands conversation. When writing for the web you need to allow your humanity to show through. You cannot hide behind a corporate facade. You need to write as if you are writing for one person, not broadcasting to a crowd. Most of all you need to learn to write as you speak. Striking a conversational tone is so important to success. This would certainly be a good way of breaking the habits we have built up over years! The idea of writing drunk might not be for you. If so I encourage you to remember that your previous writing experience will have limited use online. Yes it will help, but it doesn’t guarantee you will be good at writing for the web. 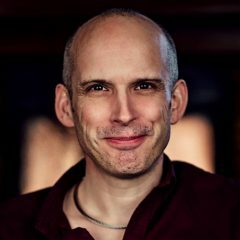 Does your organisation need help writing for the web? How about getting me in to run a workshop.